Today is the first day in a long journey toward helping bring more opportunity to Americans. That’s why I’m excited to announce a new side-project of mine – Tech Job Training for Americans. The mission is to support people who are looking to break into the world of tech, so that we together, can transform the way America grows. I’ll be developing actionable strategies and guides for people to follow to help them learn where their next big opportunity lies. There will be cultivated lists of free educational resources, raw guidance on ways to break into the industry, and more direction on how to get and keep a tech job. Over the past two months, I’ve had some personal transformations. I’ve left a tech company that I worked at for 6.5 years and loved in search of something more. 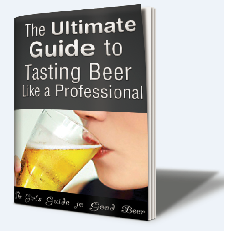 A bigger challenge with a steep learning curve, and hopefully, a way to give back too. My fiance and I also traveled around the US for ~50 days, and we ended our trip with our wedding in New Hampshire. Throughout all of my travels and for the past many months, one thing continued to ring true – America needs our next “kaizen.” If you’re not familiar with the term kaizen, it’s Japanese and it means “change for better.” Don’t get me wrong, American is excellent (hey, we’re still here and not in Australia – right? ), but based on the travels around the entire United States, we saw way too many cities and towns that were once thriving and now barely surviving. We saw too many strip malls with broken windows, battered doors, and a general lack of vibrancy. Seeing this firsthand was a giant and jarring juxtaposition to my comfortable situation in Boston that was growing and thriving. I want to help us create change. Consider this, over the past few decades China has gone from a manufacturing economy to a services economy. Until 2015, China was the world’s fastest-growing major economy, with growth rates averaging 10% over 30 years.they had year over year growth of 10% Their middle class has grown tremendously and continues to do so. This might be why you see so many people purchasing real estate in your area, and their streets have twice as many cranes as my hometown of Boston. How did China gain their edge? Their hard work ethic and ability to adapt to the changing world economy around them. This is why I’m developing Tech Job Training for Americans. In my free time, I’ll be adding content which will provide education, direction, jobs, networking, and more. If you’re interested in helping – feel free to reach out via either “Contact Us” form on this site or that one. Or if you know someone who could benefit, send them to the website – or better yet – a link to the market research survey I’ve started. Technology drives innovation which helps companies grow, enabling people to grow too. Right now (10/10/17), American wages are growing, unemployment is decreasing, jobs are being created, and the stock market is higher than it’s ever been. However, if you dig into other economic metrics, they tell a different story; not everyone is benefiting from this economic growth. The average household income for the poorest fifth of households decreased by $571 over the decade that ended last year, adjusting for inflation. Mortality rates are climbing for middle-aged white Americans with no more than a high school education. 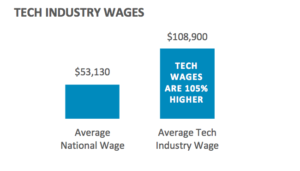 High-paying tech jobs are saturating major cities, leaving lop-sided cities. These uneven economies result in only people who can afford to live there work in tech and are beginning to lack diversity of people, work, or thought. I’m not the only one talking about this. 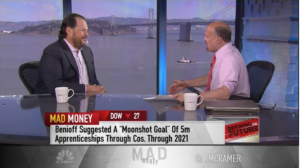 Salesforce CEO Marc Benioff was recently featured on Jim Kramer’s Mad Money and discussed the need for improved job training – and how it needs to be in technology. According to Time magazine, Doctors and scientists have used technology to tackle problems that once seemed insurmountable. As well as the fact that technology can help save the planet, or destroy it. Technology companies have disrupted too many industries to count including the tax cabs (uber/lyft), real estate (redfin), automobile (tesla), financial planning (mint/acorns), etc. It’s time for us to educate our nation, develop new regulation, and build new and powerful job training programs – which is the sole purpose of this website – to truly make America great again.